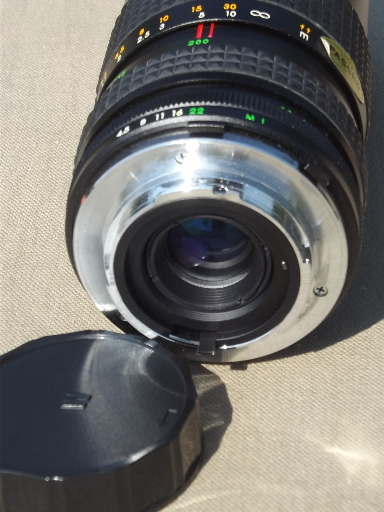 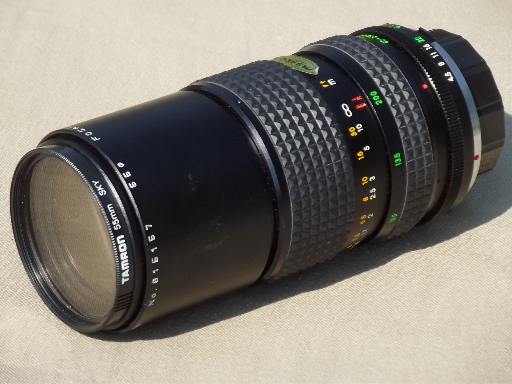 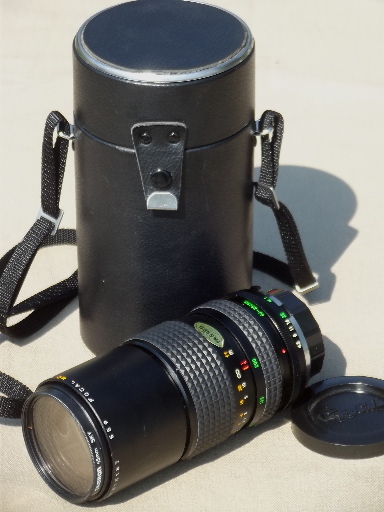 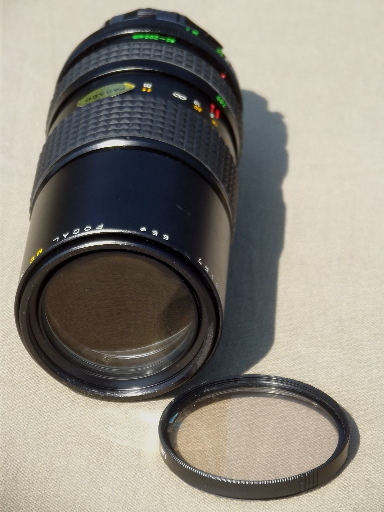 Focal telephoto camera lens, made in Japan with carrying case. 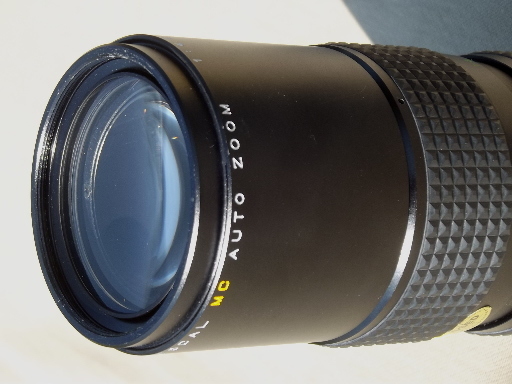 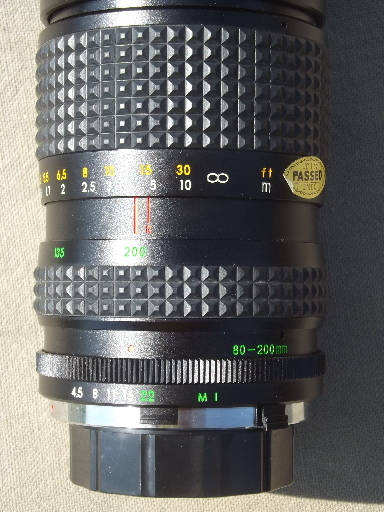 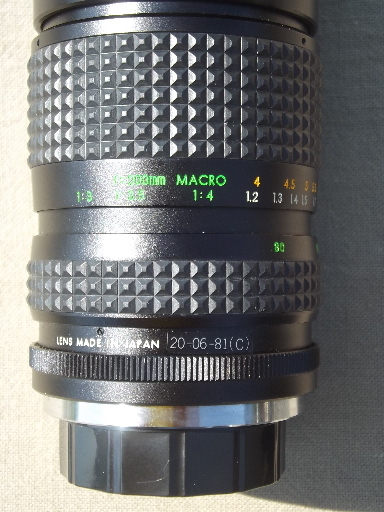 This lens is marked MC Auto Zoom 1:4.5 f= 80 - 200mm No 816157 55Ã¸. 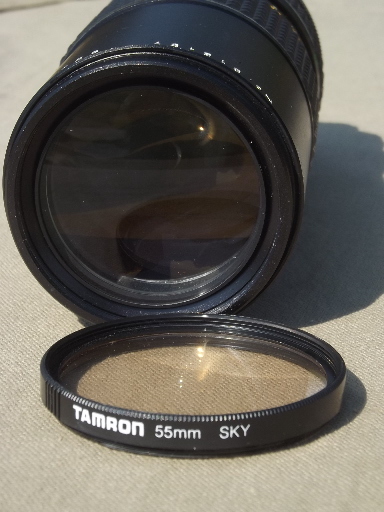 This also has a Tamron 55mm Sky filter screwed on the end. 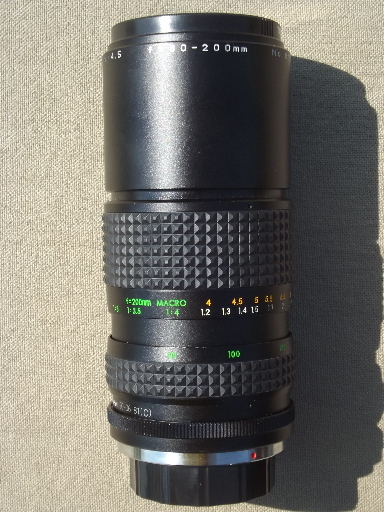 This is in nice clean condition.